We all wonder how many pages there should be in a CV? What should be written in it? What sections/terminology and skills to highlight? These are all common questions that have been answered many times in the past however we realised that it is rarely adapted to the engineering industry and especially to specialist recruitment agencies. With this is mind, Anglo Technical Recruitment has conducted interviews with some of our most senior staff and have now collected some essential tips on how to create an elegant, eye catching and powerful CV. 1- A Profile section. Make sure you write a personal “Profile” that is short, and straight to the point. This section allows you to convince the employer that you are suitable for the job as you emphasize on your main aptitudes, career goals and suitability for the role/company. 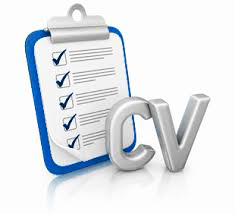 2- Other Essential Sections that your CV should have are: a “personal information” section detailing full name, location, telephone number and email address as a minimum. A concise “Employment” section in anti-chronological order showing all your relevant past experiences. A “skills” section highlighting your competences related to the job you are applying for. And last but not least a section detailing your “academic background and qualifications”. 3- The tricky Interests/hobbies section. Tricky because in most cases the information provided in that category is irrelevant to the recruiter/employer. Here you ought to try and demonstrate that you have achieved great results within a field that you are passionate about. For instance, saying running as a general hobby does not bring much to a CV unless you write something along the lines of “completed the London Marathon in 2011 and the New York Marathon in 2009”. These personal achievements whether academic or not, show a sense of passion to complete something to the best of your ability – This is an essential trait that an employer would look for. 4- Keep a simple format. Word documents are the easiest for us recruiters to process in the most rapid way. Make sure your CV does not include text boxes which make our life much harder when trying to improve your CV prior to sending it to our clients. In the world of engineering, there can be an overload of technical skills and capabilities that must be presented in the clearest format rather than just lists. 5- The optimal length of a CV is very debatable and every one of us will have a different idea on the matter; answers can vary significantly whether you are an engineer looking for a permanent role or an engineer working on a contract basis. If you favour permanent roles you should ideally make your CV fit in two pages and perhaps include a third page detailing the projects you have worked on. For contractors, you may have had 30 different work experiences within the past 15 years and your CV may look a bit endless, not to say boring. In this type of situation we still recommend you to write a 2-3 pages CV but if you cannot fit all your contract placements then you can provide your experience for the past 10 years and write below something like “For experience prior to [that date] please do contact me”. Should you really need to write a longer CV make sure the first page details essential information about you such as the list of clients/employers, your current and two previous jobs and responsibilities, your main skills and education background. Click here to read tips on how to make sure your CV gets noticed. You have reached the interview stage? Find out the top 10 interview blunders to avoid or what questions you should ask at a job interview.